Poland has emerged from behind the Iron Curtain to become a vibrant democracy with modern infrastructure and vibrant economy, yet retaining its traditions and the fairytale charm of its old towns, all of which makes it a great place to visit. The younger generations are positive and outward looking and speak excellent English, and all generations in my experience give a warm welcome to visitors; the fact that Poland remains noticeably cheaper than most of the EU is an added bonus. Poland has well-developed road and rail networks, both of which are easy ways to get around the country. An Interrail / Eurail pass is a good way to travel to Poland overland as part of a wider European trip. Ferries also sail from the Baltic Sea ports of Swinoujscie, Gdansk, and Gdynia over to Sweden, though none of these are presently discounted for rail pass holders. 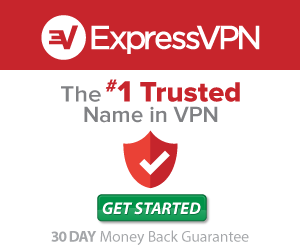 You can search and book these online with Direct Ferries. As a member of the Schengen Area, border crossings aren’t something you have to think about much when overlanding between Poland and Germany, Czechia, Slovakia, or Lithuania, or Sweden by sea (although police do sometimes check IDs); however, Belarus and Ukraine to the east, plus the Russian exclave of Kaliningrad to the north, are non-EU & non-Schengen so you’ll have to have your paperwork in order to cross those borders. Belarus requires visas for most visitors, other than those from the CIS (former Soviet) countries; Russia has a similar policy but with a few more exempt countries in Latin America and Asia. Ukraine allows visa-free or visa-on-arrival entry for many passports, including CIS countries, most European countries, America & Canada, Oz & NZ, and various Latin American and Asian countries; check the situation for your nationality before heading for the border. 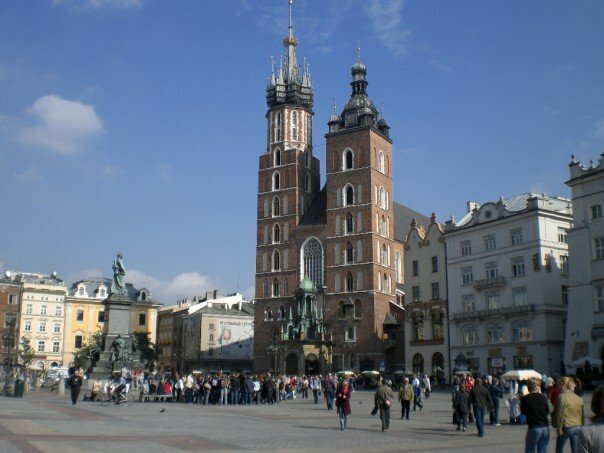 Krakow has one of the best old towns in Europe and is a lovely place to spend a few days. Warsaw doesn’t have the fairytale-esque qualities of Krakow, but it also has a nice old town and is a fun and energetic city to visit. Polish vodka is fantastic stuff and provides good fuel for enjoying the lively nightlife. 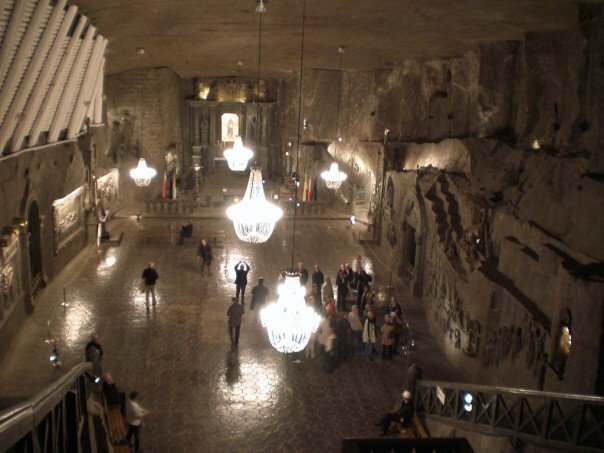 The Wieliczka Salt Mine, near Krakow, has to be seen to be believed; the miners carved out sculptures, wall reliefs, and even entire chapels, deep underground. The mines are long since closed but thanks to the beautiful scenes within are now a UNESCO World Heritage Site and open to visitors. 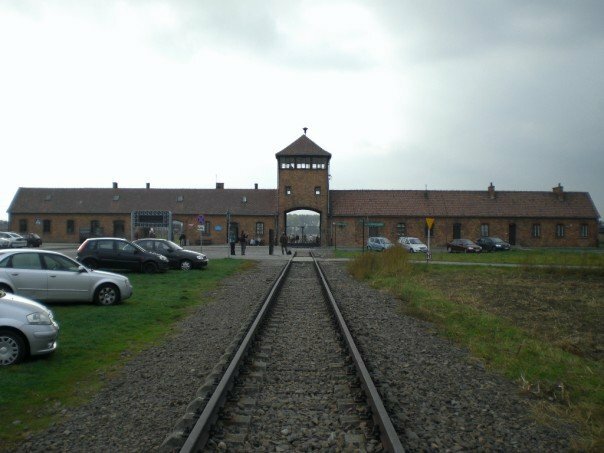 Auschwitz. Surely one of the worst things you will ever see; but also one of the most important. Located near Krakow, it takes a day to travel there, look around, and then get back to town; but you’ll need many more days to get your head around it. Plan on spending the evening after your visit wanting to be alone or needing a good stiff drink of that vodka I mentioned (we went for option B and got fair hammered).